﻿ Though they’re nowhere close to the top of the pecking order, My Ticket Home are hard-workers. Whereas most metalcore bands in the early 2010s would’ve been content to stay exactly as they were (and they did), just under two years after their 2012 debut To Create A Cure, the Ohio mob released Strangers Only, building on what they already had with the nu-metal bounce that would become all the rage before long. Bear in mind, that was less than two years; with more than twice that between that album and their newest effort unReal, My Ticket Home’s penchant for rapid sonic turnover could deliver something from way out of left field. And it does. On unReal, any indication of a former life as a metalcore band has essentially been stripped away and replaced by the band’s own “puke rock” moniker which, going by this evidence, involves plenty of worship at the altars of Deftones, Quicksand and the numerous other acts that made ’90s alt-rock so fruitful. The best possible outcome would be a companion piece of sorts to Ocean Grove’s The Rhapsody Tapes, another album orbiting around metalcore’s general area with a penchant for ’90s alt-rock, and considering how much benefit time has done for that album, another just like it could see the start of a really interesting sea change within metalcore especially. And to give My Ticket Home the benefit of the doubt, unReal at least has its general idea in place, built around crunchy, distorted guitars with just the right amount of atmosphere, and Nick Giumenti’s cleans taking the lead role in a more lucid fashion halfway between Chino Moreno and Hybrid Theory-era Chester Bennington. 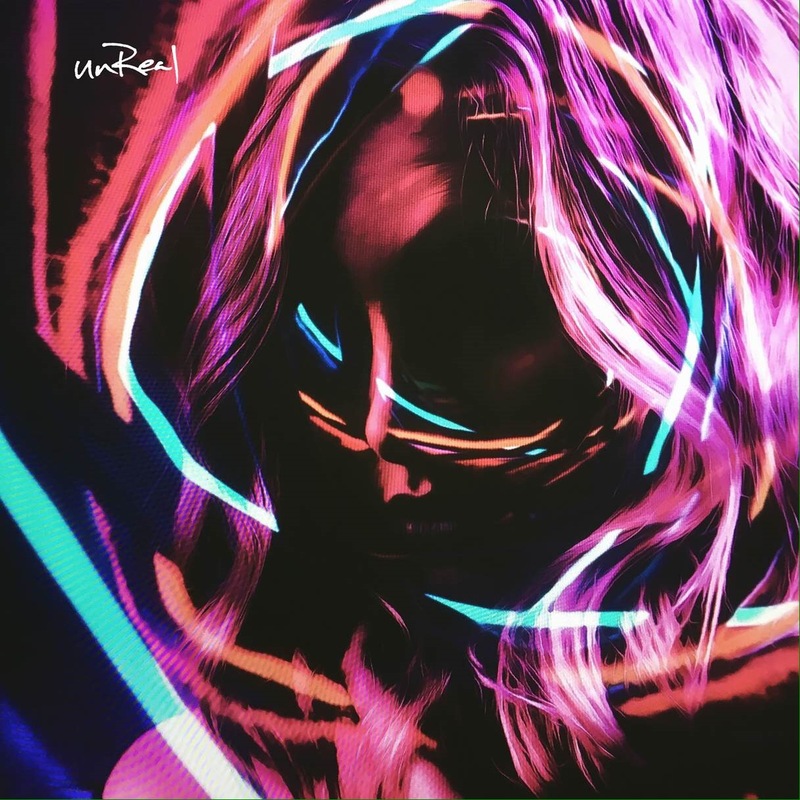 And yet, unReal can’t realistically pick up the baton that Ocean Grove is handing to it, mainly because, where that album created an interesting yet original composite of all of its elements, My Ticket Home aren’t exactly wearing their influences on their sleeves as much as morphing directly into them. And while there is a time and place for hero worship, unReal tails off far too early and ends up hazily plodding to the finish line from about the halfway mark. Perhaps the most disheartening thing is, up to that point, unReal shows a pretty deft performance of a band who might be pulling fairly blatantly from a slew of other acts, but they’re at least doing it well. The scattershot riffs of opener Thrush split the difference between nu-metal and grunge with a fairly adept touch, while Flee The Flesh and Joi take up the winding haze of a Deftones or Far track and make for the most compelling examples on the album. There’s definitely the feel of a rougher ’90s recording as well, the biggest unequivocal positive of the album as a whole, never glossing up the guitars in unnecessary ways, and leaving Giumenti’s vocals alone to pick up whatever grit they need. Still, this doesn’t lessen the negative impact of unReal consistently drawing from the same well without any sort of diversion, and really running its course too early on. For a thirteen track album, the inspiration frequently feels rehashed from earlier instances, and thus the likes of Cellophane and Melancholia bring nothing to the table that haven’t been heard within the same album, let alone genre. Pulling so much from such clearly defined influences doesn’t help either, especially with a track like We All Use which is literally a Deftones track with a more prominent vocal performance, and yet puts My Ticket Home so far behind the original product. At least when combining sounds they come across as a band with something more of a wider vision; there’s a lot here that has My Ticket Home virtually replicating existing acts, and proving to be rather shaky facsimiles at that. At least Visual Snow brings the album to a successful close with the sort of hypnotic distortion that suggests that, with a bit more of this kind of novelty, this is a direction that could reap significant rewards in time. As of now, it’s difficult to really criticise unReal too harshly, given how it is such a drastic shift in style and pace from what My Ticket Home have been used to for years now. But at the same time, it’s not an album that’s exactly up to scratch with what it’s doing no matter how clear its intentions are, one that’s regurgitating the work of such easy-to-determine acts with minimal spin put on it. At the very least there’s a foundation laid down, and My Ticket Home have proved that, if this is where they want to go, they’re not bad at it, but considering that the originals are still around, choosing the copy over them feels more than a bit redundant. ‘unReal’ by My Ticket Home is released on 6th October on Spinefarm Records.